I just went to my local Moroccan grocery store here in Amsterdam, The perfume of Quinces as I walked through the door was incredible. They were only €1.50 a kilo, so I bought 2kg. This is a fantastic recipe. I followed the instructions to the letter and the jam is perfect. So simple to make and the taste is so good. If fact, God probably has this jam for breakfast with his croissants Well done and thanks. 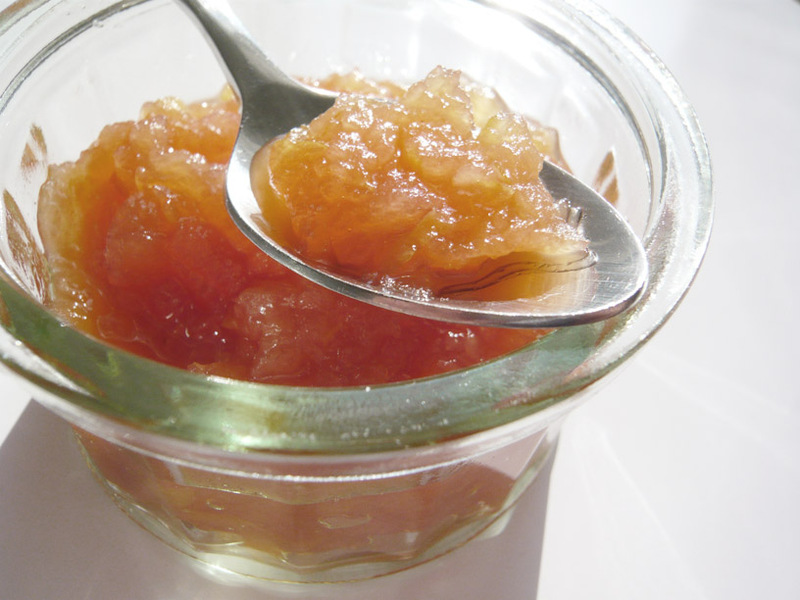 I learned to maje quince Jam from my Persian mother-in-law. Very easy – but I never see mentioned the deep crimson colour which this jam always achieved. It comes from not boiling it too hard and (surprisingly) keeping a lid on the pot. Without the lid on, the jam comes as a slighty browny, peachy pink. With the lid on,it goes a purplish deep crimson colour and seems to have a richer flavour. Tried an tested OK.
Hi Sarah – thanks for the suggestions. I love to learn these little tips! I would hesitate to rely on this receipe as the weights / quantities mean that each cored quince would weigh well over 1lb. 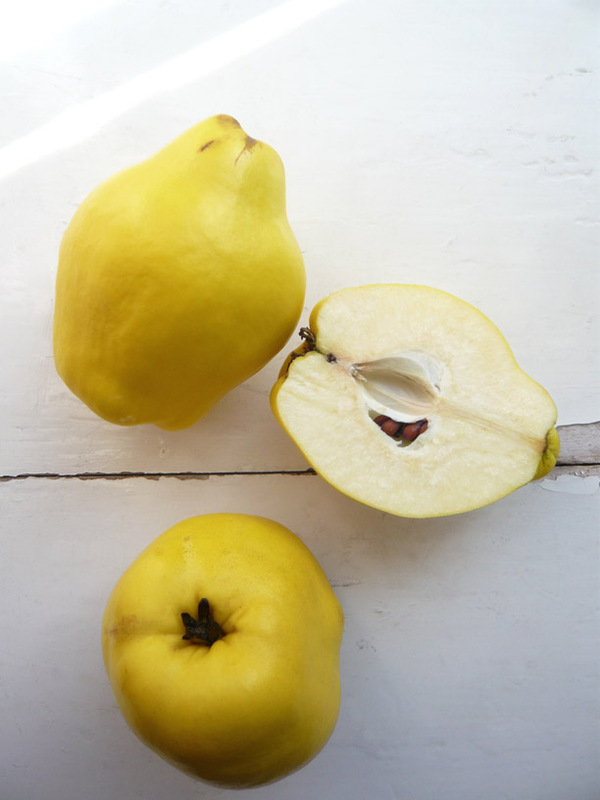 The UNCORED quinces from my garden each weigh less than a quarter of a pound…..
Hi Sue – thanks for your feedback. The quinces that I used were very large and bought from a fruit shop, not home-grown. However, I hope the recipe is fairly clear – it has two parts quince flesh by weight to one part sugar, with water to help everything along. Of course there are other versions out there – I’m certainly not the world’s No 1 expert on jam making!